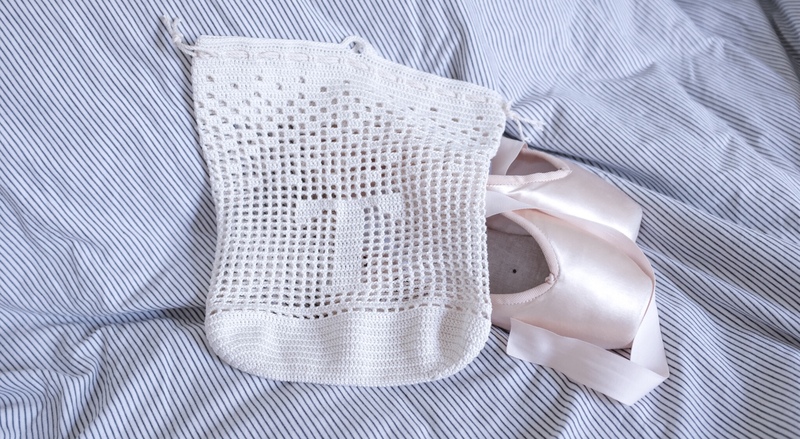 It’s another pointe shoe bag! This time, with a letter T… just like my name. I guess, if I had a pair of pointe shoes, this would be my bag… The girl’s name who ordered the bag is Talia… and my name is Thalia! Only an H difference! Anyway, she’s in Aina’s ballet 3 class, where they just started doing pointe this year.